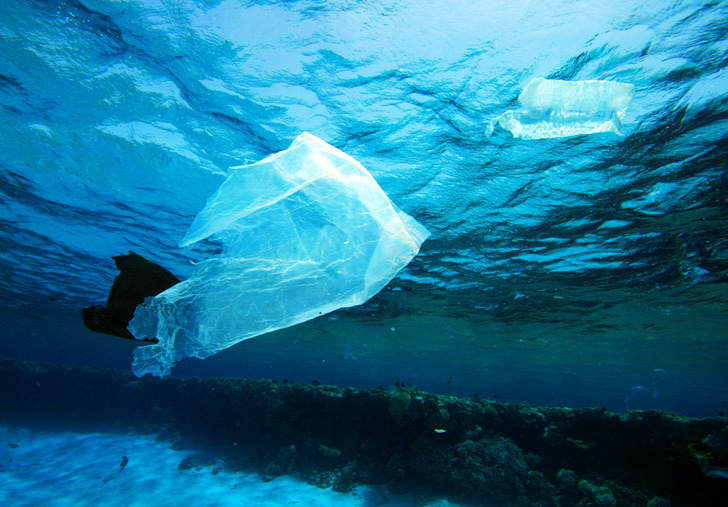 The Great Pacific Garbage Patch is a horrifying consequence of our never-ending consumption. Now, new research shows that even if we could eliminate plastic waste and prevent all litter from making its way to the ocean, these Patches would continue to mar the planet for hundreds of years. Researchers at the Australian Research Council Centre of Excellence for Climate System Science found that it doesn’t matter where in the world plastic garbage enters the ocean, it can end up in any of the five ocean basins and will likely remain there long after its original owner has passed away. Many have heard of the Great Pacific Garbage Patch, a vast collection of floating debris about 1,000 miles off the coast of California. Fewer people realize that there are actually five ocean garbage patches, also known as gyres – one for each of the major ocean basins. “Each contains so much plastic that if you were to drag a net through these areas you would pull up more plastic than biomass,” said lead author Erik Van Sebille, who is a Research Fellow at the Centre. The scientists also concluded that a new garbage patch may already be forming, in an area formerly free from human contamination. “Our research suggests a smaller sixth garbage patch may form within the Arctic Circle in the Barents Sea, although we don’t expect that to appear for another 50 years,” Van Sebille continued.